A base coat designed to anchor the first layer of the CREATIVE PLAY™ Gel Polish system. 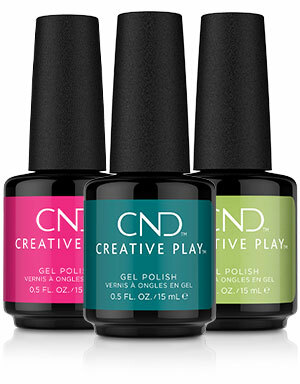 An ultra-intense color coat for use as the second step in the CREATIVE PLAY™ Gel Polish system. A high-gloss top coat designed to seal and protect the final layer of the CREATIVE PLAY™ Gel Polish system.